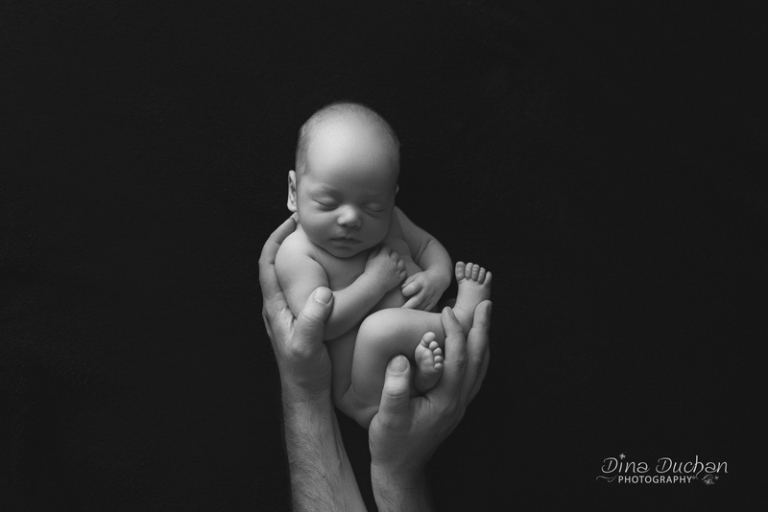 Baby Nathaniel, though small, was surprisingly not a newborn at the time of this photoshoot. 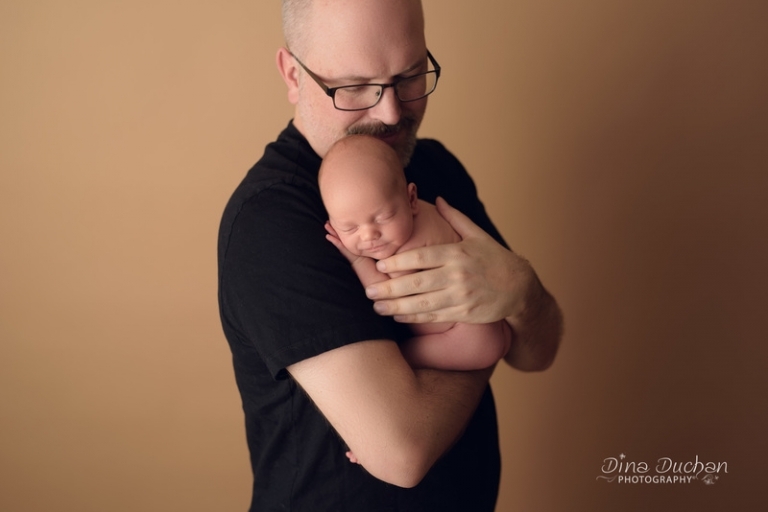 Nathaniel was born prematurely and was already about a month old before his parents could bring him for this newborn session. 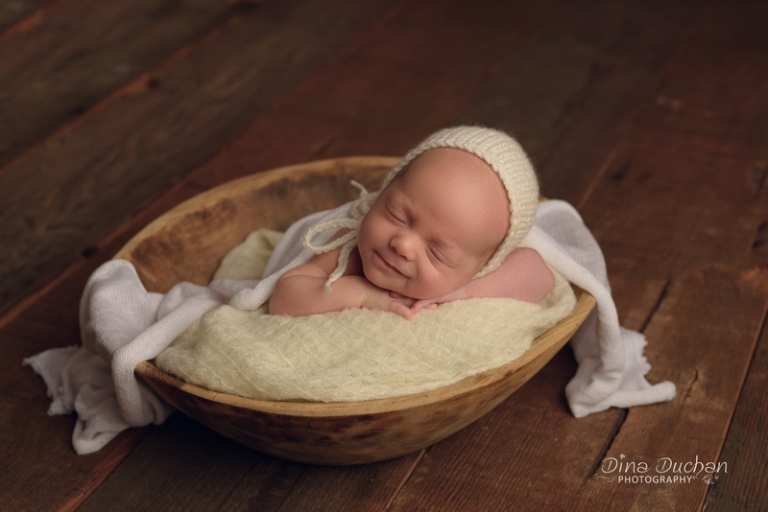 He was such a doll to work with and though he slept through the session, he did give a few adorable sleepy smiles. Before each photoshoot, I give the parents a survey to fill out. In the survey they can describe or request any props or poses they want so I can prepare for the session. Nathaniel’s mother, Stacy, had a few unique requests. As an Art Director, she had a vision in mind for the photos. She requested lots of texture, and as you can see, I combined textures in the photos of Nathaniel swaddled up in fabric and laying comfortably in fur. The photo of Dad, Josh, holding Nathaniel in the air with his hands was also her idea. I just love how it turned out. A father, with the whole world in his hands – too precious. One the set, I learned that Stacy wasn’t the only artist in the family. Josh also has a creative side – he is a Food Photographer. What a lucky little boy Nathaniel is to have the chance to grow up in a family full of art and creativity. I am glad that Josh chose to step away from the camera for the day to give me a chance to capture his beautiful family. And I am sure as time goes on, Josh and Stacy will be happy to have both been included in Nathaniel’s newborn photos. I am so thankful to have been able to share such a lovely session with this family. Hopefully they can look at these photos and realize they are more than artists – they are art!